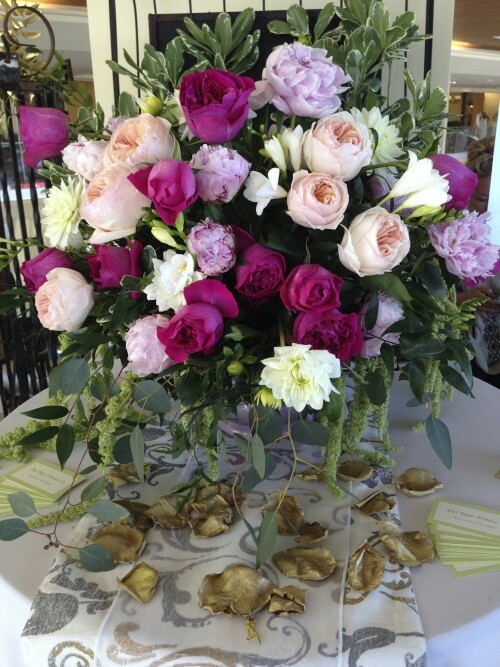 DEL MAR FLOWER COMPANY - your trusted, local florist for over 35 years! High quality product, reliable delivery service and superior customer care year-after-year...this who we are! DEL MAR FLOWER COMPANY is your local florist serving the beach and beach-close communities of Del Mar, Solana Beach, Carmel Valley, Rancho Santa Fe, Cardiff, Encinitas, and La Costa for over 35 years! Our friendly and knowledgeable design team are ready to assist you with your local flower delivery or anywhere in North America. We offer same-day delivery service to businesses, residences, hospitals, and funeral homes. Whatever the occasion, let one of our talented designers create a beautiful, eye-catching fresh floral arrangement that's your customized expression for the recipient. Special Events, Dinner Parties, Rehersal Dinners, Boutique Weddings and more! In August 2015, we expanded our event department by moving to a larger workshop space. We work with local restaurants, hotels, businesses, and local residents to help make their special events a "blooming" success! Reaching us to discuss your next special event has never been easier, text or call us with the details at (858) 481-1824 or email: info@delmarflowerco.com. We work with all budgets! Remember, you can always depend on our staff to help you choose or create funeral flowers for a dearly departed friend or loved one. We will design and deliver an arrangement that beautifully conveys your feelings of sympathy and serves as a lovely tribute. Succulents are the rage! They are great for the environment and make wonderful gifts for every occasion - home or office! Beautiful blooming orchids plants and dish gardens for a gift that adds life to any room or office. Thank you for visiting our website! Secure online ordering is always at your fingertips 24/7 from anywhere in the world.